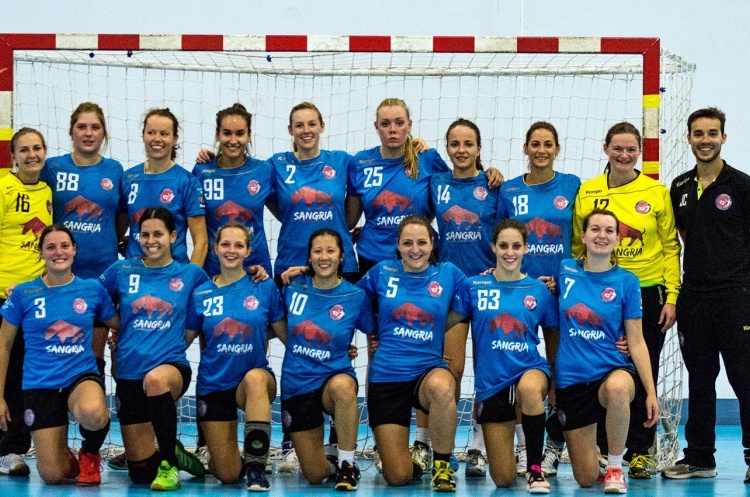 The women’s Handball National Cup returns this weekend with just four teams left in the mix. Defending champions Coventry Sharks are still on course to win back to back titles, the students of University of Bath have made it to the semi-finals against Premier Handball League opposition, and London GD has two teams in the semi-finals. The first match, on Saturday in Coventry Sport and Leisure Centre, throws off at 16.30. The Sharks welcome London GD II to the Midlands with one spot in the final up for grabs. If Sharks win, this will be their fourth consecutive appearance in the National Cup final – but the Londoners will be intent on making it an all-GD final. In the quarter-finals, Sharks defeated Premier Handball League opponents NEM Hawks by six goals with a strong second-half performance. Kristin Ivancheva led the scoring for the Midlanders, with nine goals in total. GD II were far more comfortable in winning their quarter-final, defeating Bristol 33-13. London GD are not a club to be underestimated and having two teams this far in the competition demonstrates their incredible strength in depth. The second semi-final will pit London GD against the University of Bath at the Leyton Score Centre on Sunday. The current leaders in the Premier Handball League came through against West London Eagles by five goals in a competitive quarter-final. GD will be hoping their top scorer Christina Rehnberg is available for this match. The University of Bath overcame Premier Handball League opposition Peninsula in a match that was decided by just one goal at the final whistle. If Bath can overcome the league leaders GD, unbeaten in all competitions this season, it would be the upset of the year – but the students will feel they have nothing to lose. Throw-off is at 15.30. Can London GD make it a one-club final? Can the students of Bath spring a surprise and upset the form guide? And will Sharks make it to their fourth final in a row?